Just finished the February 2010 issue of PC World. They had an article called “The State Of Windows 7 Satisfaction” about early adopters of Windows 7 and their general feedback about installation and features. Information was gathered from 615 people at www.technologizer.com. Something really jumped out at me: 64% rated themselves as Windows experts and 41.3% had to resolve driver issues. To me any Windows expert would search out, verify and download all drivers for a new operating system before installing it. That was certainly the case when I installed the Windows 7 release candidate; how else would I know if my hardware was supported? For any operating system installation, whether new or a re-install, you’re best to download all the drivers you’ll need and have them handy on a USB memory stick. Don’t know what drivers you’ll need? If you purchased the PC from a manufacturer check their website for downloads, usually under support, and you’ll find what you need. If you built the PC or had it built for you check each components manufacturer website: motherboard, video card, sound card, etc. Don’t forget about the external equipment such as scanners, printers and such. 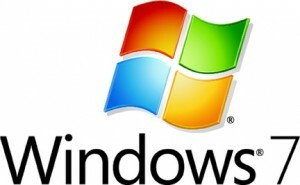 As well you can download and run the Microsoft Windows 7 Upgrade Advisor.